I read a comment recently: “People don’t look at websites, they use websites.” As a web designer, I often find myself very concerned with the overall visual appearance of a website: Is it clean enough? Do the fonts look nice? Is it attractive? While these things are important, I often have to remind myself that this quote is absolutely correct. Websites are not (usually) pieces of art to be admired; websites exist primarily to connect to users or visitors with a product, service or some kind of information they’re interested in acquiring. The most important thing a website should do is make it easy for a visitor to cut to the chase and achieve their goal. A website visitor usually searches specifically for something they wanted when they came to your website, which means that for you, as a business or organization, visitors are the same as interested customers who have just walked in your front door. The website should help them find what they’re looking for as quickly and effectively as possible. Brick and mortar address: this may seem obvious, but I think it gets left off more often than it should. Especially if your business primarily depends on people showing up to your physical location, my opinion is this should be at the top in the header of the homepage and all other pages, not hidden away in the footer. Chances are, if people are searching for your boutique clothing shop online, one main thing they want to know is: “Where is it?” Embedding a Google map on your pages is a good idea, too, as that saves them the trouble of doing a map search themselves. Accurate hours: Particularly for an organization that maintains regular business hours, this is the second thing a visitor needs to know. In fact, from personal experience, I would argue that this might be the main reasons someone visits your website. They want to make sure they don’t waste a trip or get an answering machine when they call. Of course, not only is including your hours important, but also their accuracy. Nothing is more frustrating than finding your hours listed – and showing up to discover your website information is outdated and you’re closed. A concise, to-the-point overview of what you offer: This one- or two-sentence description may state what you feel is already obvious from your company’s name, but it’s important that you tell people pragmatically what they can expect from your business, and the specific features that make your business stand out. If you’re a restaurant, describe the type of food and atmosphere you provide. If you’re an insurance agent, make it clear which types of insurance you cover. Again, the goal is to allow website visitors to find out what they need to know as quickly as possible. Bonus benefit for you: This text can contain important keywords that will help your rankings in search engines. The same version of your logo that they’ll see at your physical location – and/or a nice, clear photo of your business exterior. This will help to give your customer a visual reference so they can spot you from the road. That’s not to say that if you have an old, beat-up version of your logo on your sign, you must continue to use it on your website. On the contrary; in that case, it’s time to renew your sign! A call-to-action and brief contact/reservation form: In some cases, this might not apply (a hardware store probably doesn’t need it). But if your business relies at all on conversations or reservations to make sales, I think a brief contact form to generate leads should be front and center. A contact page is common, but in many cases I think having it up front makes more sense. As I’ll say below – many people aren’t interested in your philosophy or company story, they just want to get in touch quickly. Social media links: At this point, social media is no longer a “growing trend.” It is an established aspect of modern business. That’s not to say you need an account on every social network that exists, but if you are putting time into maintaining a presence on a social network – the big ones are Facebook, Twitter, YouTube, Pinterest, Google+ and LinkedIn – make sure that people can easily click to your social media page(s) from your website. And don’t forget on your social media accounts to also make sure you have links to your website. If you’re a restaurant, a link to your menu: This is specifically for restaurants, but I think it’s very important and often overlooked. Especially if you take call-ins, your menu must be online (with your phone number close at hand) so that people can easily place orders. Even if you don’t take call-in orders, people want to know what dishes you offer, and reading your menu makes them hungry. If you can list prices – do so! This takes some extra attention since you need to keep prices online consistent with what’s on your physical menu, but as a consumer myself I personally appreciate knowing what to expect in terms of prices. And knowing that prompts me to call or come in. Current offers and specials: This doesn’t apply in every case, but if specials are something you offer regularly, make sure people know about them, and keep them up to date. This does require some maintenance time on your part, but if customers know that they can trust your online presence to keep them informed about upcoming offers, they’re likely to visit it (and your business) more regularly. Using your social media account to do this is a good idea; Facebook offers the option to embed a feed of your status updates on your website, which means you’d only need to post a special on Facebook to have it also show up on your site. Specials are marketing, and marketing only works if people see it. Your complete philosophy or company story: This doesn’t belong on your homepage except maybe as a one-line “vision” statement. If you have a site with multiple pages, this could be placed in a secondary location for those who are truly interested in knowing more about you. Don’t overdo it with long texts about your business’ integrity; every business or organization will claim honesty, hard-work, superiority, etc., but these points do not give customers any specific information about what needs the business fills. I often come across websites that have a lot of text about how great the company is, but at the same time I have trouble finding the info I need to actually patronize them. Unrelated photos or “family snapshot” photos: Nice photos of subjects relevant to your business can generate positive emotions, strengthen customer understanding of what you provide and increase their confidence in your ability to provide it. Unrelated or poor quality photos may confuse or decrease their confidence. Blurry and grainy snapshots taken with a cell-phone camera of your “team” are not very convincing; they don’t add to customers’ understanding and they certainly shouldn’t be the first thing people see when they reach your site. Too many graphic elements or too much text: It’s important to have clear, concise, simple information up front. If there is too much going on, the important points are diluted and visitors have a hard time finding what they need. Graphics and text on the homepage should be precisely aimed at your primary goal: getting them to your brick and mortar, taking a reservation, answering their question or establishing them as an interested lead. Despite all this about the practical elements your home page should have, I have to also defend the importance of pleasing, quality design. 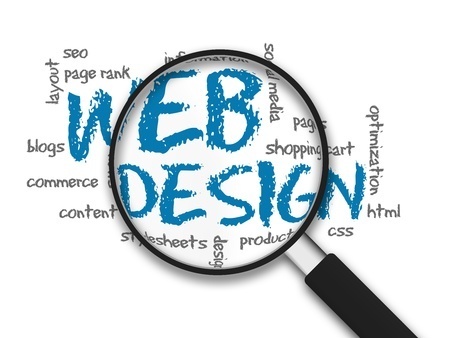 Your website is the equivalent of your storefront, so of course you want it to look nice, too. It’s often the very first impression customers get of your business – so it is important that it looks attractive, clean, desirable and inspire the confidence of your potential customer. Yet at the same time, the most attractive website in the world still won’t be effective if customers can’t use it to give you their business. So help them do that!